San Diego, CA 92108. We can be reached at (619) 528-9800. We are a workers' compensation law firm, committed to ensuring clients receive the benefits and representation they are entitled to. Our workers' compensation attorneys work directly with you throughout the entire process from the paperwork to settlement. We empathize with the plight of injured workers and struggling professionals. The Law Offices of Gerald D. Brody & Associates has collectively over 45 years of experience representing injured workers. In this time, we have developed a reputation of knowledgeable, aggressive and ethical representation of our clients in their workers’ compensation claims. Have you sustained an overuse injury from repetitive work? Were you involved in a specific accident? Even if there has been a death from work, we are competent and comfortable handling any situation. The variety of claims that we have handled throughout the years has provided us with a vast knowledge of workers’ compensation law that will allow us to effectively and efficiently move your case forward, insuring you receive maximum benefits and the best medical care available so you can recover and get back to work – fast. From the moment an injured worker enters our office, we identify all the potential problems in a claim and develop a plan of attack so we remain on offense against the insurance carrier. We take great pride in carefully explaining your case to you and provide honest, realistic expectations. We understand how frustrating it can be to be injured, out of work and anxious about your physical and financial well-being. Please contact us today for a free consultation where we can discuss your options with you. Allow us to explain how we can effectively manage your claim for you, taking the weight off your shoulders and allowing you to concentrate on your recovery. Maximum benefits. Attorneys you can actually talk to. Zealous representation. The results speak for themselves. We look forward to speaking with you. How Is Gerald Brody & Associates Law Firm in San Diego Different? When you get hurt in a workplace accident, your world is flipped upside down. Because you depend on your income to support your family and pay the bills, worries about the future can quickly become overwhelming. At this point, you’ll start your search for a skilled and experienced workers’ compensation lawyer who can help you get the benefits you need. But how are you supposed to know what makes one law firm in San Diego different from another? Here are a few things that set the Law Office of Gerald Brody & Associates apart from the rest. At the Law Office of Gerald Brody & Associates, our attorneys are exclusively dedicated to practicing workers’ compensation law. We have 45 years of collective experience representing injured workers, helping them get maximum benefits and the best medical care available. 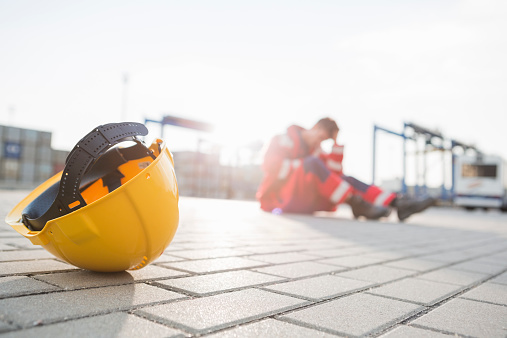 The variety of claims we’ve handled throughout this time have given us a deep knowledge about workers’ compensation law you won’t find anywhere else. Our team knows how frustrating it is to be hurt and out of work. The stress of coping with a new injury and the financial consequences of missing work can be crippling. The moment you walk into our office, we’ll take the weight off your shoulders so you can focus on your recovery. From submitting the right forms on time, to finding the right doctor, to negotiating with insurance carriers, we will handle everything related to your case and keep you informed along the way. Many lawyers speak to their clients in legal jargon that’s impossible to understand. At the Law Office of Gerald Brody & Associates, we’ll talk to you in plain terms and carefully explain your case so you understand all the important details as they happen. What’s more, you won’t be handed off to an associate you’ve never met. Our attorneys will work directly with you throughout the entire process, from the initial paperwork to settlement. If you ever have a question about your case, we’re just a phone call away. Injured employees often assume that enlisting the help of a workers’ compensation attorney is expensive. This may be true at some firms, but at the Law Office of Gerald Brody & Associates, we offer our services with no up-front or out-of-pocket costs to you. Our legal fees are a percentage taken directly out of your settlement. If we don’t recover compensation for you, you don’t owe us a dime. That’s all the more reason for us to efficiently and effectively move your case forward and seek the maximum benefits you’re entitled to. We’ll carefully explain our fees to you at your free consultation so there are no surprises. If you’re looking for a lawyer to represent you in your workers’ compensation case, you don’t want to select just anyone. Only the most skilled, specialized, and experienced attorney will fight zealously on your behalf to ensure you receive the maximum benefits and quality medical care you deserve. At the Law Office of Gerald Brody & Associates, we offer all of this and more. Give us a call at (619) 528-9800 to find out how we can be of service to you.